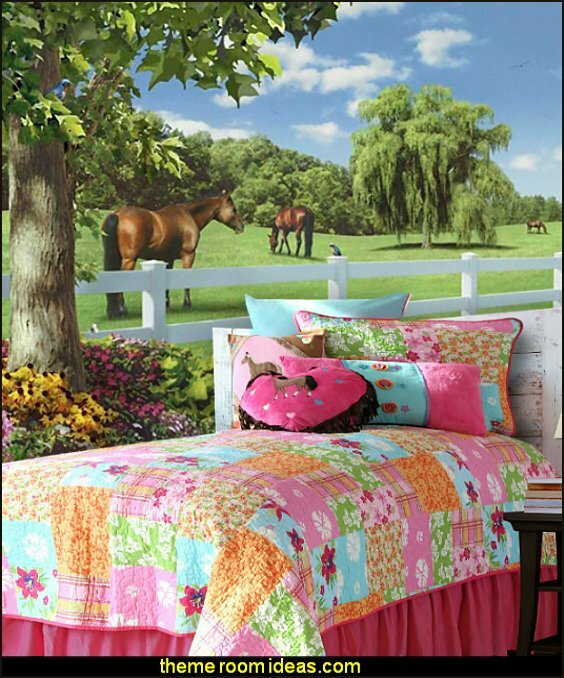 Outdoors - country farm - flower garden. Cowboys or cowgirls rodeo themed, My little pony, Equestrian, Dressage championship, classic foxhunting, then there is the carousel horse or even the unicorn themed rooms. 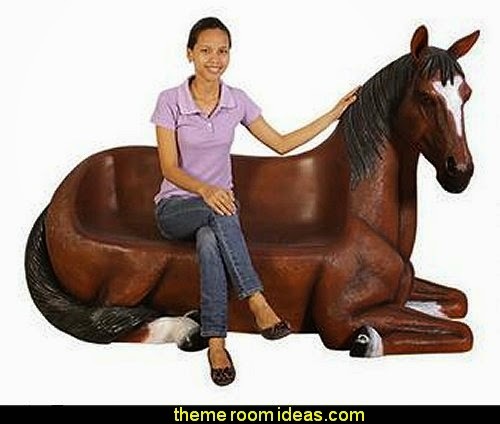 Novelty piece of fun furniture to have around the home or office. 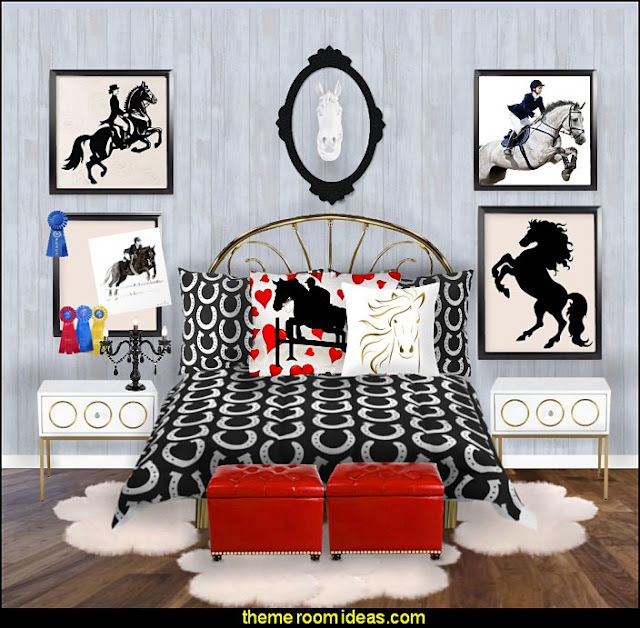 A fresh take on a classic western look! 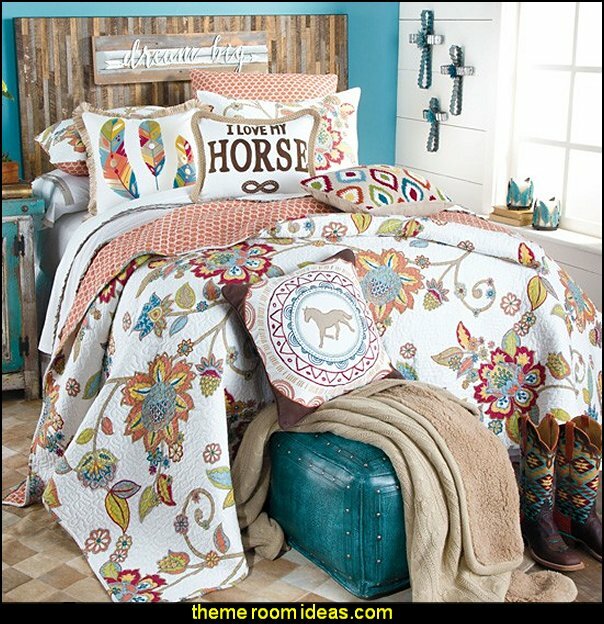 This tapestry bedding set features a running horse pattern in muted colors of nutmeg, currant, chocolate and cinnamon. 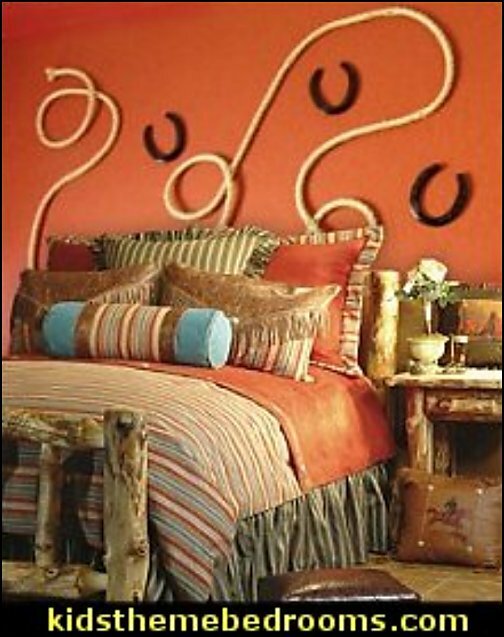 This medium-scale medallion artwork will make a lovely statement above your fireplace, couch or bed! 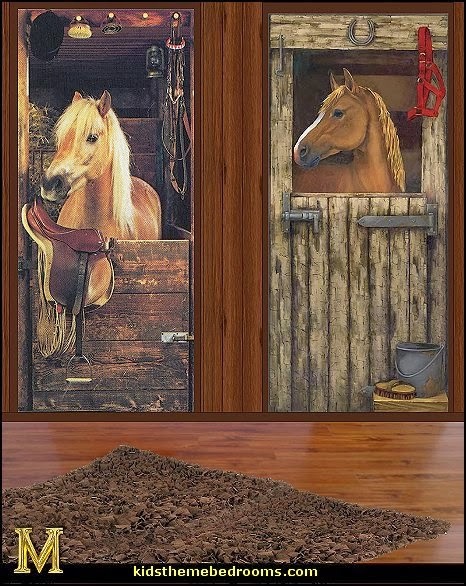 The ultimate Western touch for your home. 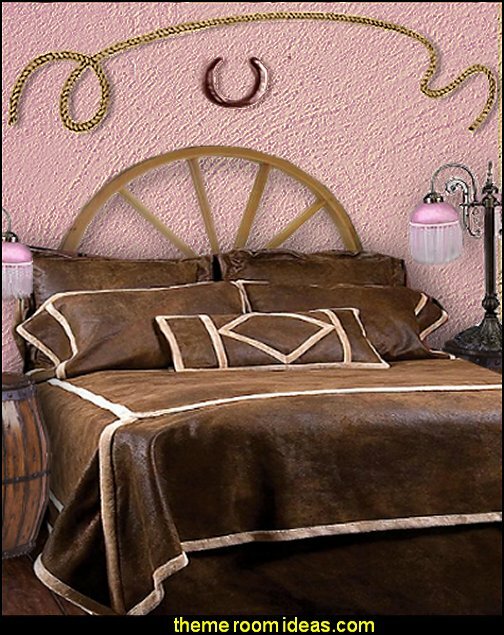 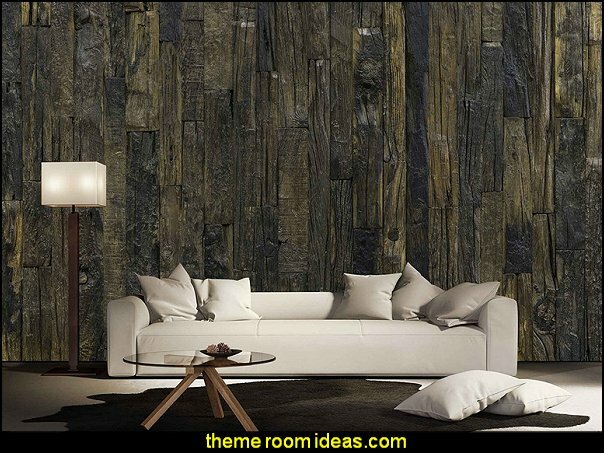 These handsome 100% genuine hair-on cowhides can be used as area rugs or wall hangings. 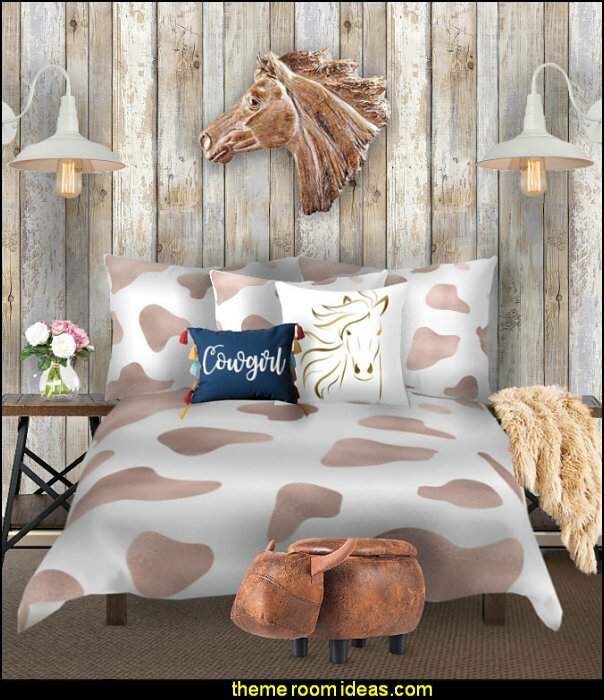 This brown faux gator framed mare print features studs and has a concave shape. 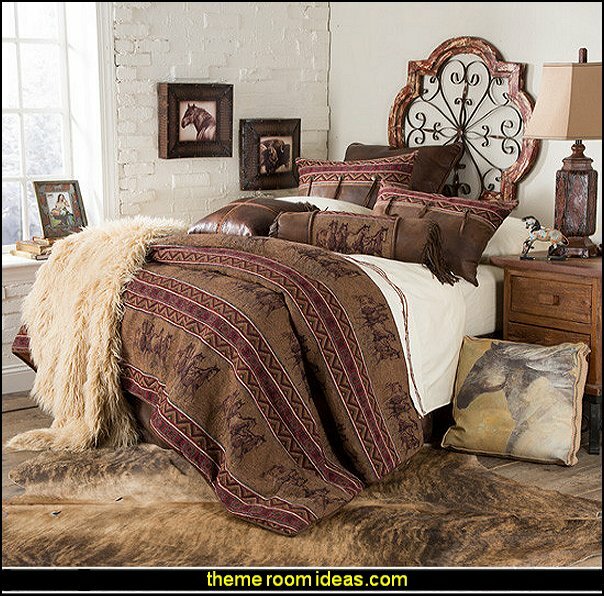 This brown faux gator framed bison and baby print features studs and has a convex shape. 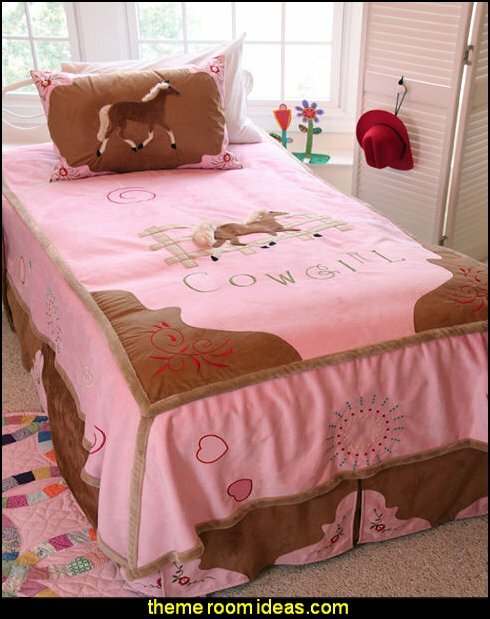 Your little cowgirls heart will flutter for this sunny and sweet patchwork-look bedding! 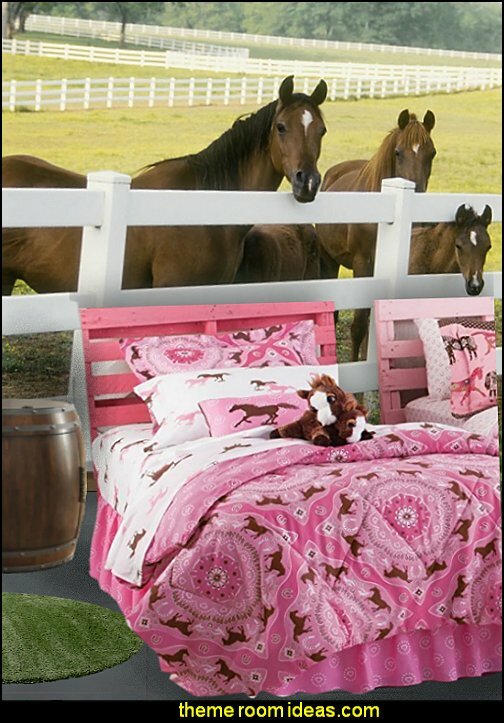 The printed quilt features squares of running horses and florals with an all-over pink with white polka dot reverse. 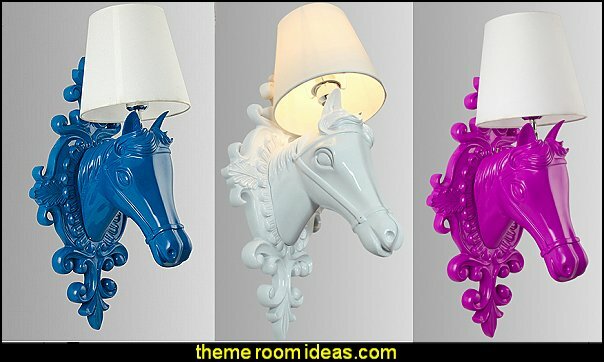 Add a playful touch to a little girl’s bedroom with the Circo Horse Lamp in pink and white. 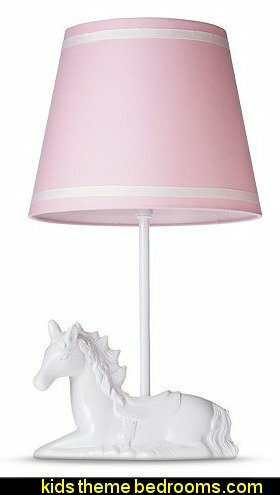 This table lamp doubles as adorable decor with a beautiful white horse as the lamp’s base and a coordinating pink cotton lampshade with white stripe accents. 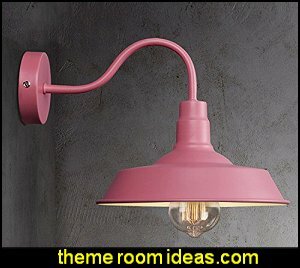 The desk lamp comes packaged with a CFL bulb and turns on with a simple rotary switch. 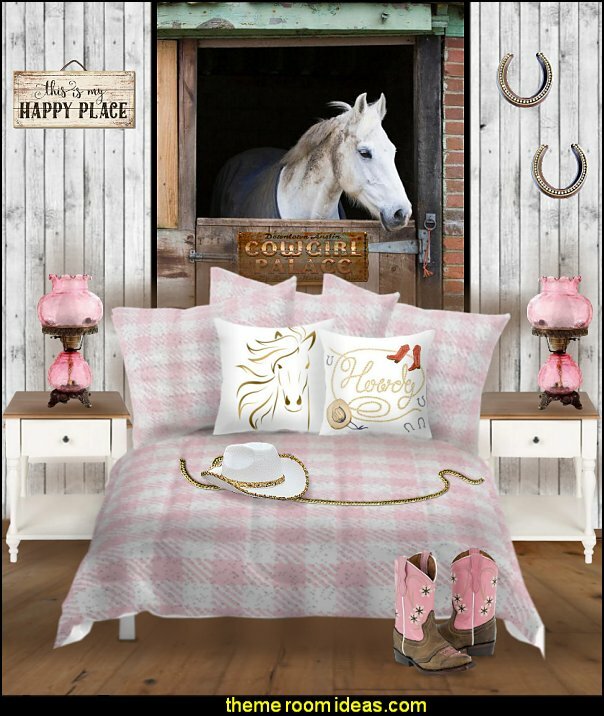 A colorful girls bedding collection for the girl that loves horses, the Carstens English Bedding ensemble with transform any girls bedroom in to horse lovers retreat. 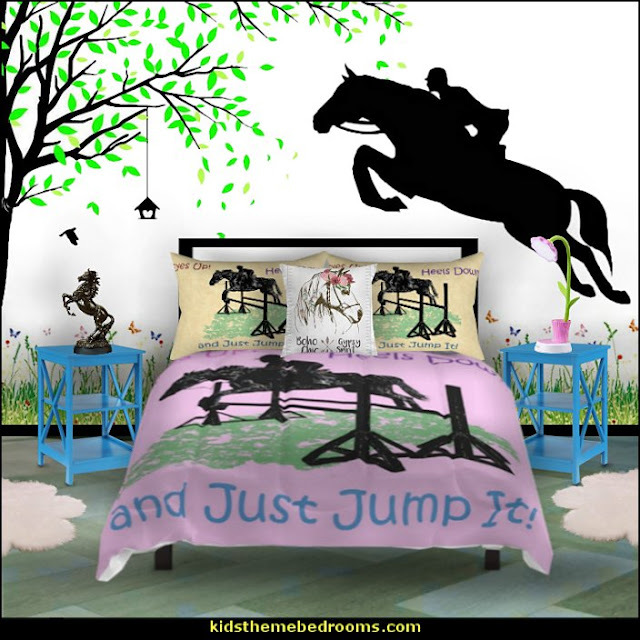 This adorable bed set brings playful, horse riding style to your child's bedroom, in shades of pink, chocolate and caramel, with images of jumping horses, barn, horseshoes, stars and riding helmet. 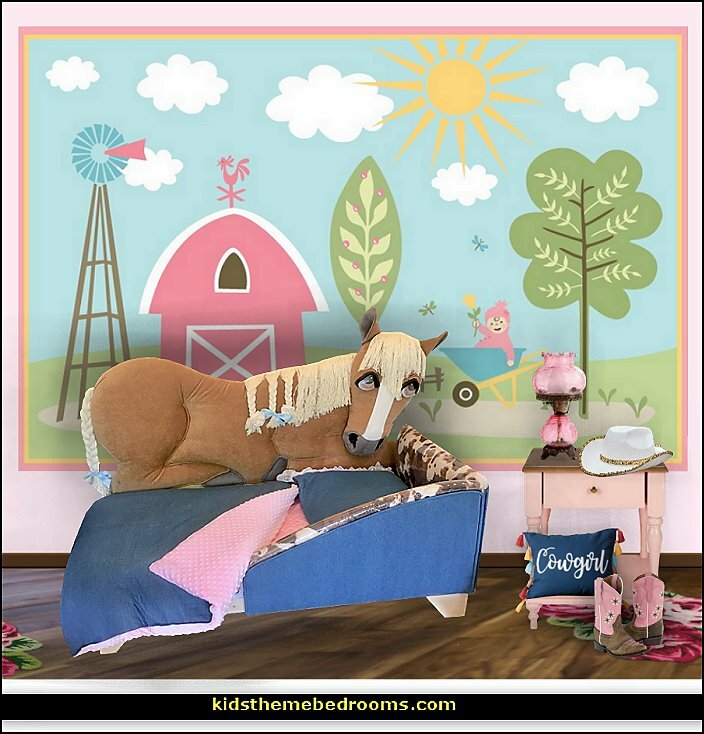 Available in Twin and Full sizes the Carsten English comforter set features a bold pink ground with turquiose blue and caramel side panels with an oversized horse motif in the center. 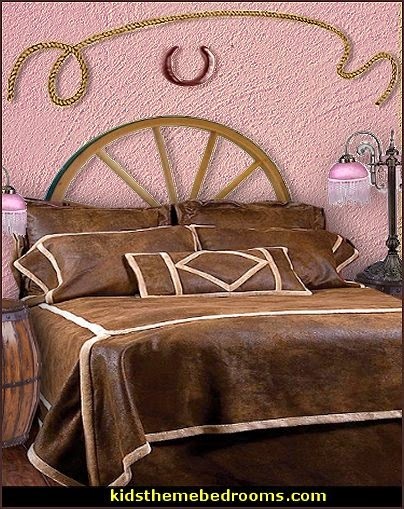 This midweight bedding ensemble offers all-season comfort, with embroidered and applique accents, and luxurious softness. 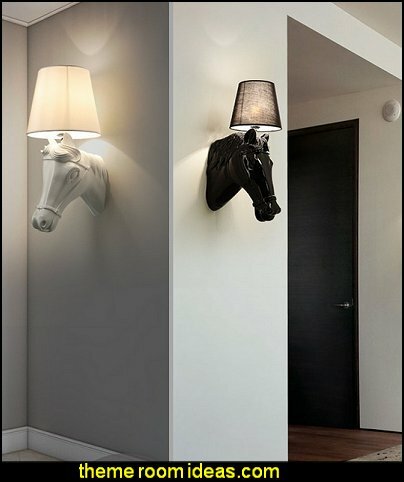 cool decorations for your party. 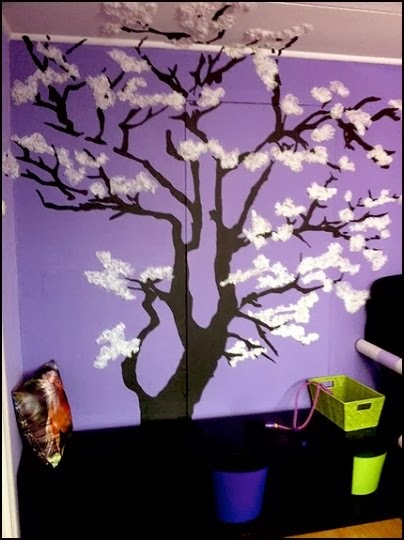 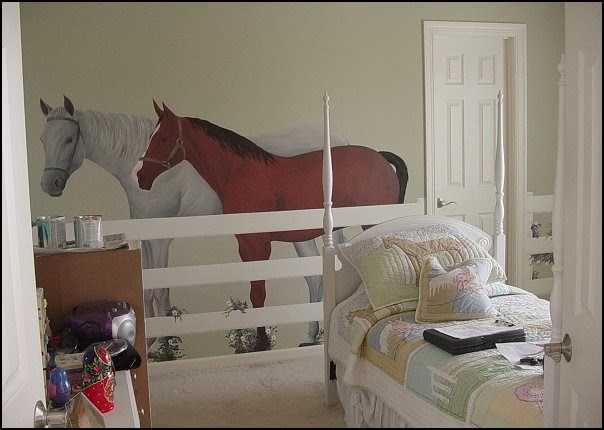 After the party is over, easily transfer the decal to your child's room for year-round enjoyment. 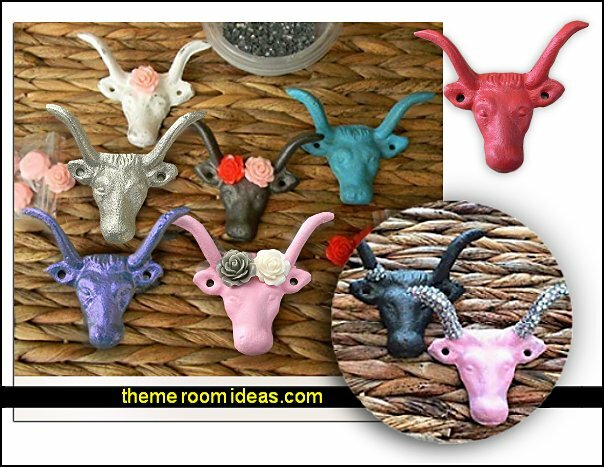 These chic and trendy wall hangings are not just for hipsters! 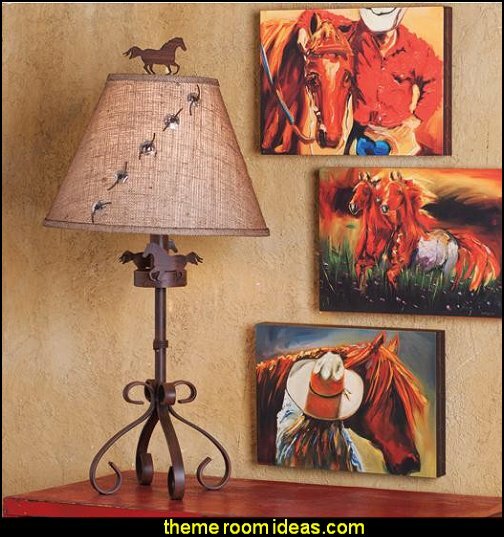 Stand out and have a fun conversation starter in your home with one of our wall hanging horse mounts. 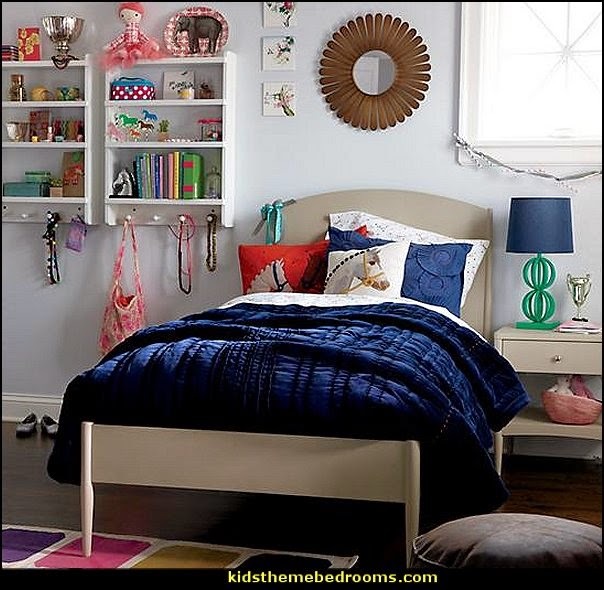 The silhouette of a pony head is crafted out of reclaimed wood and topped off with a crinkled-metal mane, then painted in bold, colorful stripes that will coordinate with most any young cowgirl's bedroom decor. 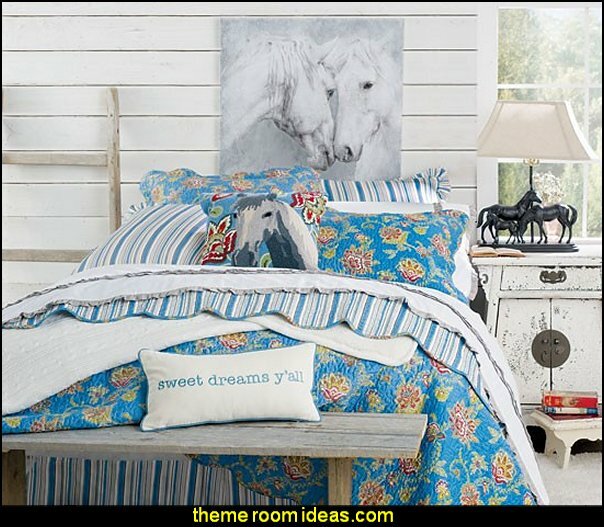 This bedding collection brings together warm cornflower blue with a soft floral pattern of green, yellow, white, and red. 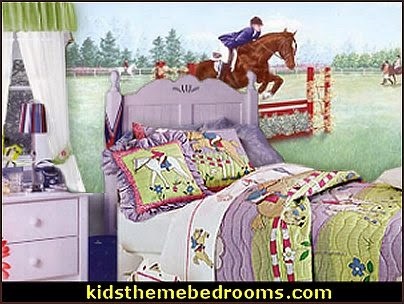 The reverse of the quilt and sham match the striped bed-skirt. 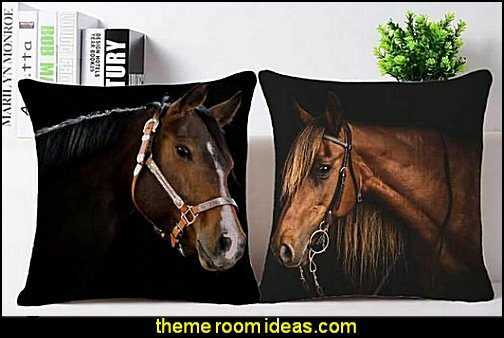 Add some fun throw pillows to personalize the look. 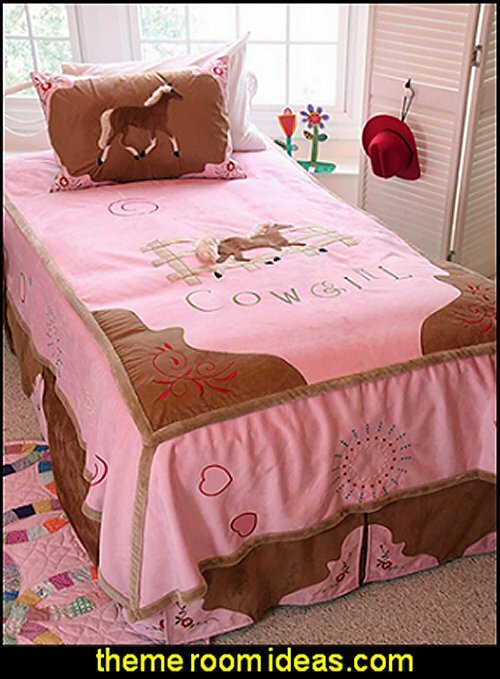 The Carstens Cowgirl Quilt Bedding is perfect for the little girl in your life that loves girly colors and horses. 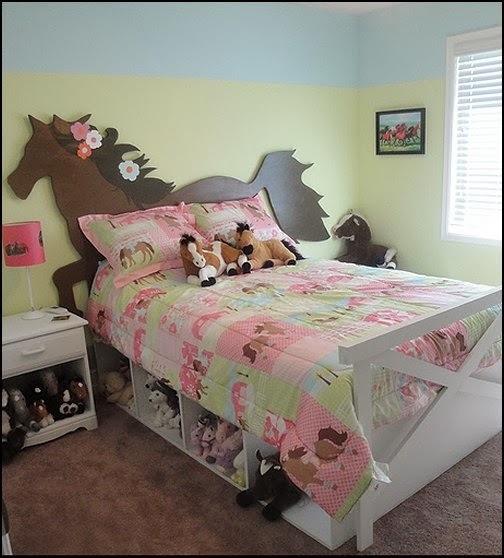 With a mix of pink, blue, yellow, orange, and green, the Carstens bed set adds an equestrian touch while also adding a shabby chic touch to your girls bedroom decor. 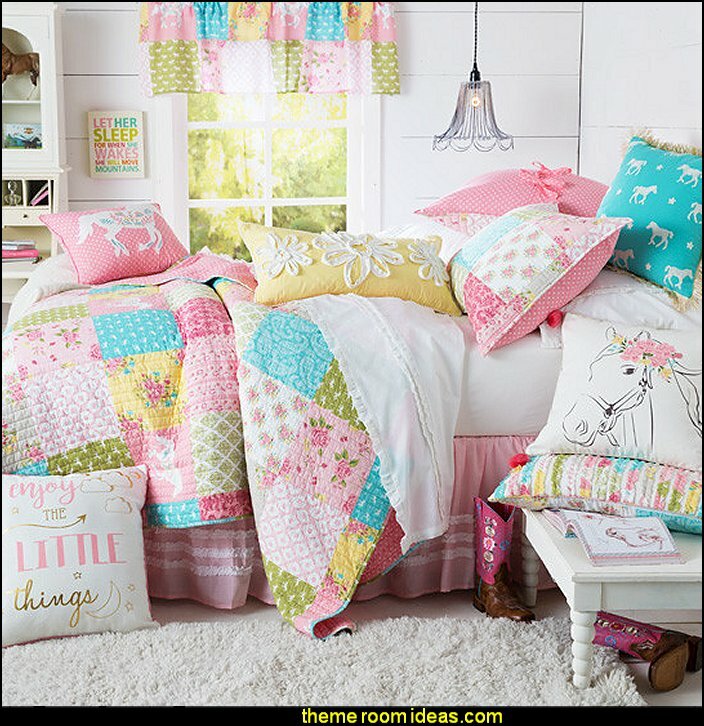 The Carstens Cowgirl Quilt bed set offers a quilt in twin and full sizes with a lovely patchwork pattern that features various flower prints mixed with plaid patterns. 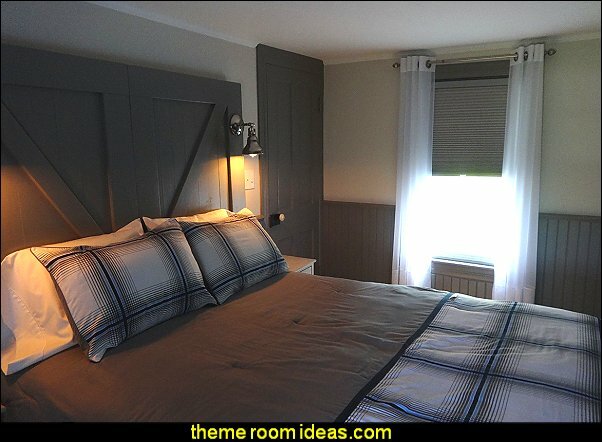 Finish the bedding collection with the matching Carstens standard sham. 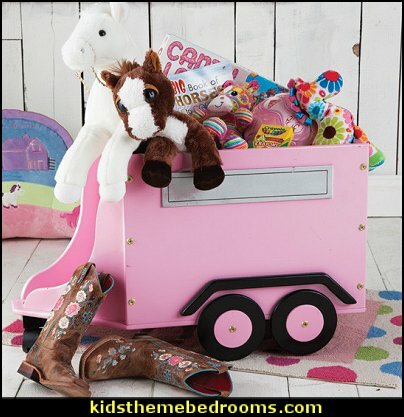 A solid pink bed skirt offers the perfect finishing touch to the Carstens bed set. 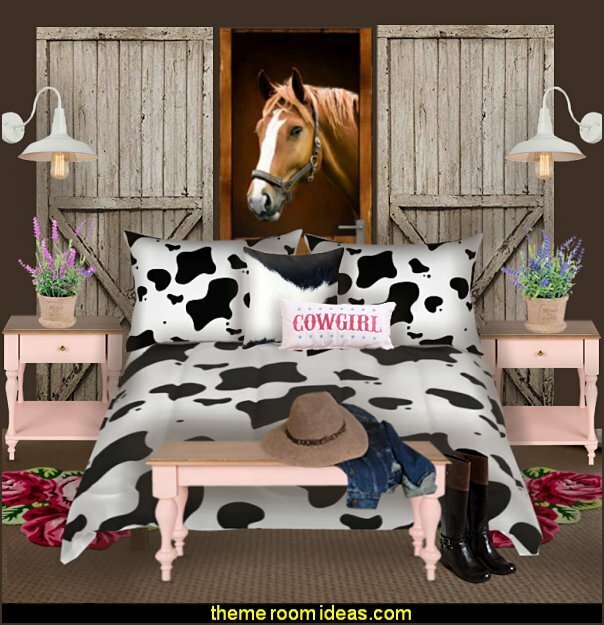 All girls love style and accessorizing and Carstens offers decorative pillows to spruce up your girls Cowgirl Quilt bed set; allowing her to add even more style to her bed while giving her pieces to cuddle up with while watching TV or even taking a nap. 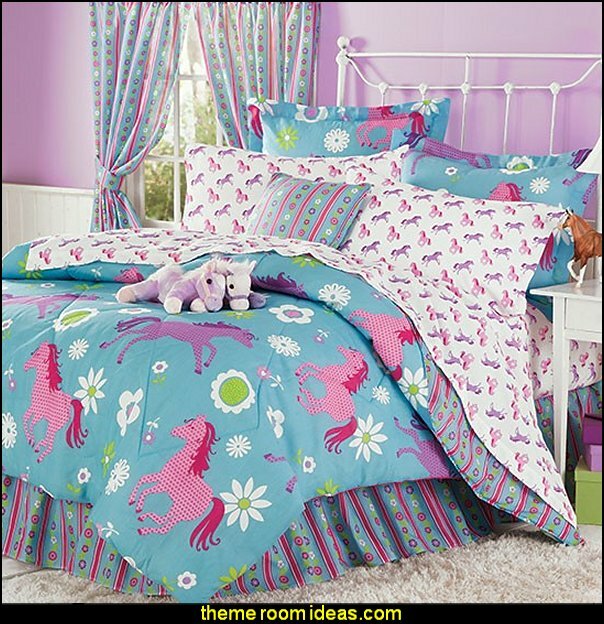 Playful ponies and cheerful flower blooms are sprinkled across a bright turquoise background that coordinates beautifully with the stylish striped bed skirt and pillow shams and the crisp white, pink, and purple pony sheet set. 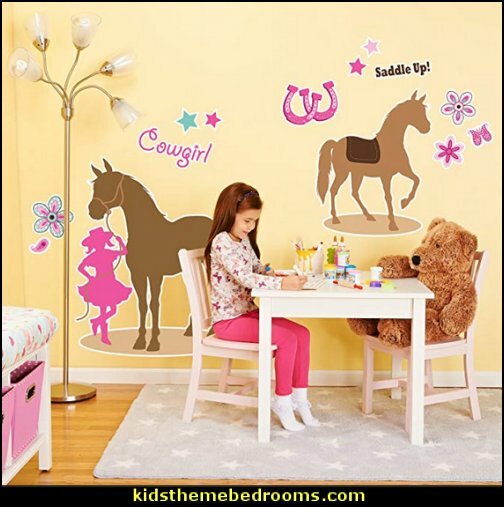 Includes pattern, transfer paper, directions and color guide. 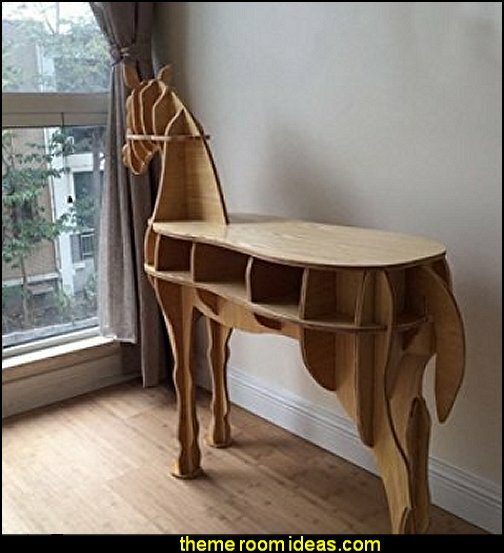 Pattern can be reversed. 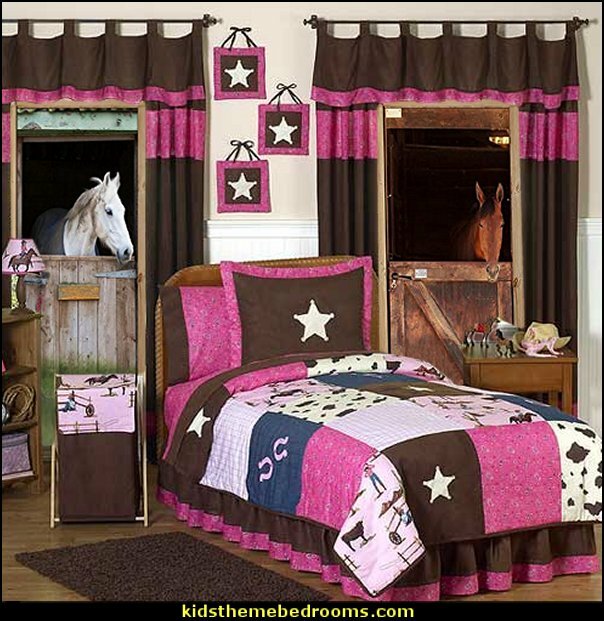 Cowgirl by Carstens Lodge Bedding lets your little one bring the image of her favorite horse into her room. 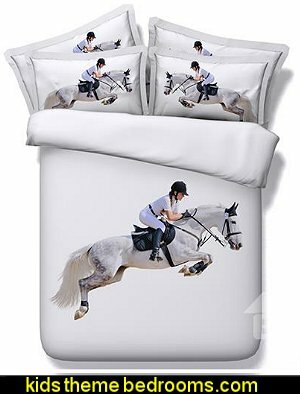 An adorable prancing horse is centered on the comforter and the pillow sham. 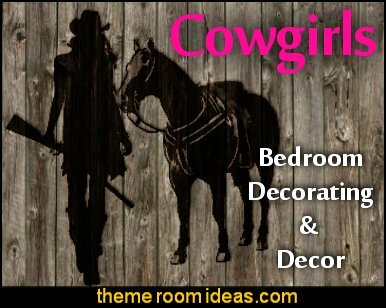 Cowgirl is pretty in pink and accented with shades of brown, and touches of red. 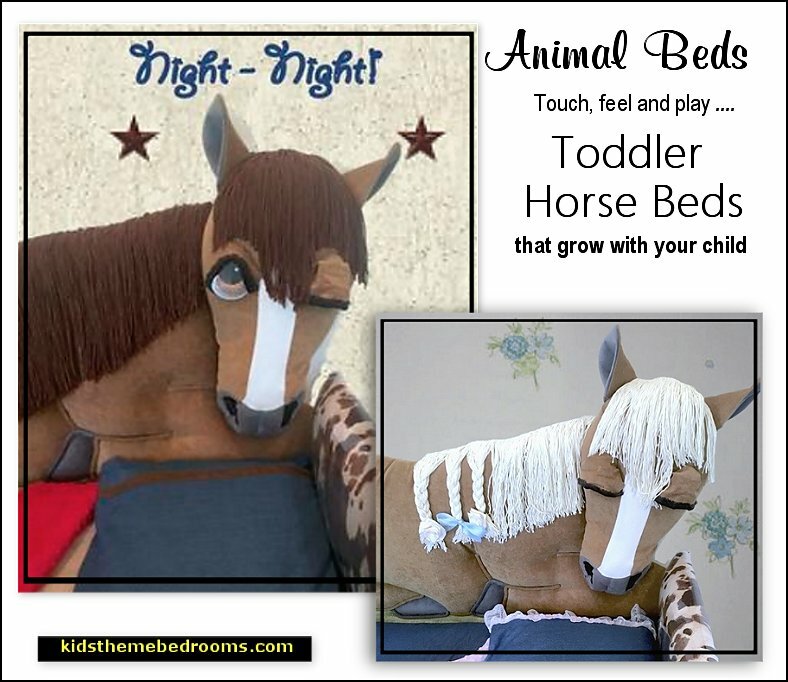 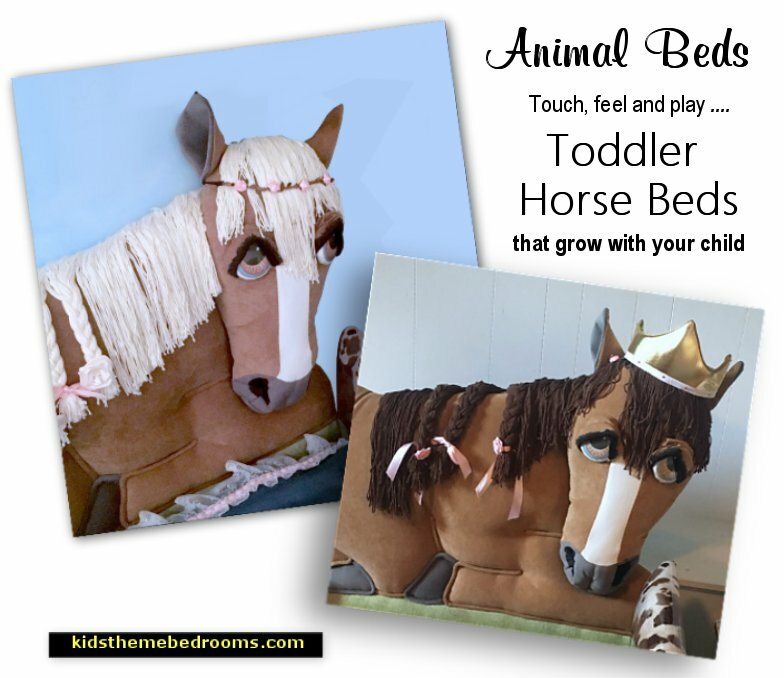 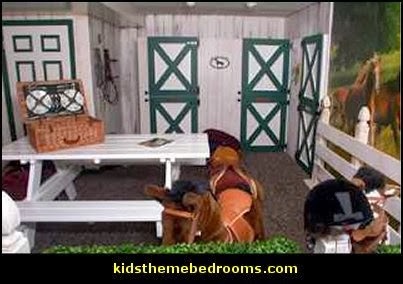 Ideal for the young one with a love of horses and the outdoors. 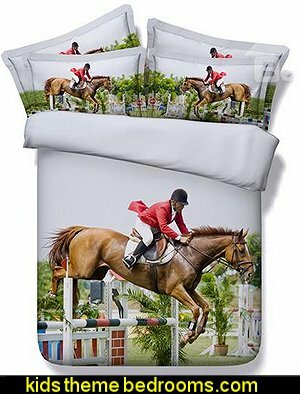 Bedding sets are available in Twin through Full Double sizes. 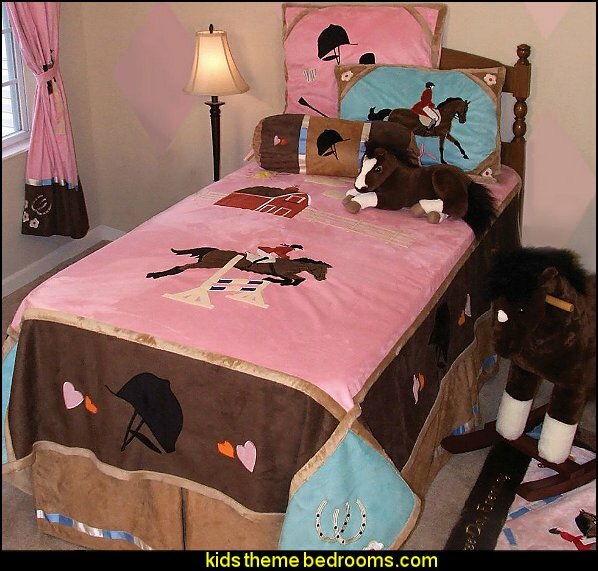 Sets include comforter, bed skirt, and sham (s). 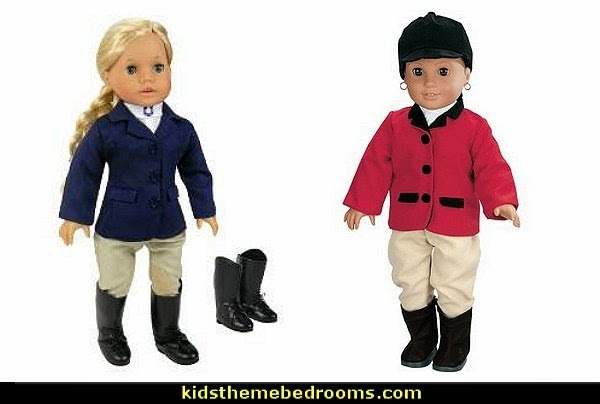 Made of 100 percent polyester, dry clean care. 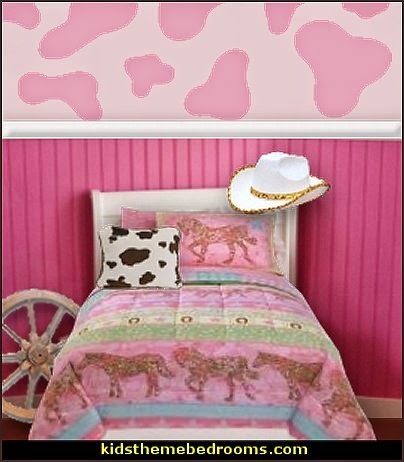 A colorful girls bedding collection for the girl that loves horses but with a wild side, in shades of pink and leopard spots print, the Carstens Cowgirl Leopard Bedding ensemble with transform any girls bedroom in to wild west and safari inspired horse lovers retreat. 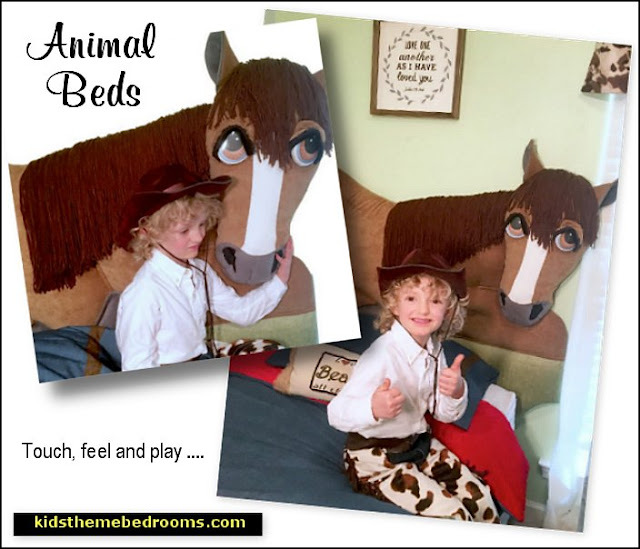 This adorable bed set brings playful, Western-inspired style to your childs bedroom, with images of horses under the sun, lassos all accented with leopard print. 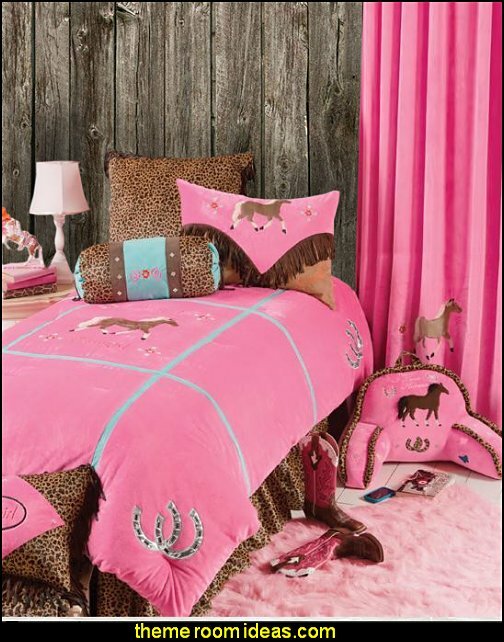 Available in Twin and Full sizes the Carsten Cowgirl Leopard comforter set features a bold pink ground with an oversized horse motif in the center for an authentic wild west design. 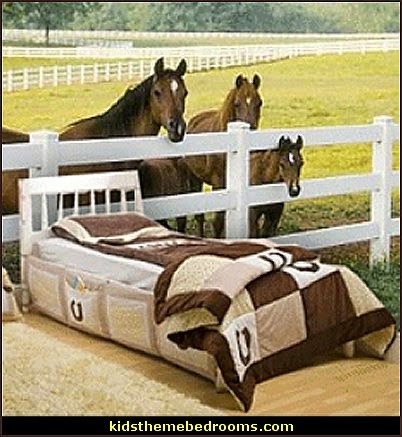 This midweight bedding ensemble offers all-season comfort, with embroidered and applique accents, and luxurious softness. 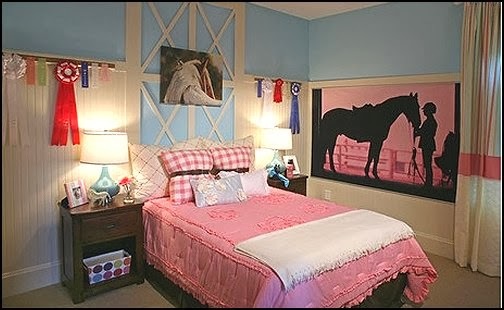 Scalloped edges, and a bold white floral pattern add an extra layer of style to this pale blue quilt. 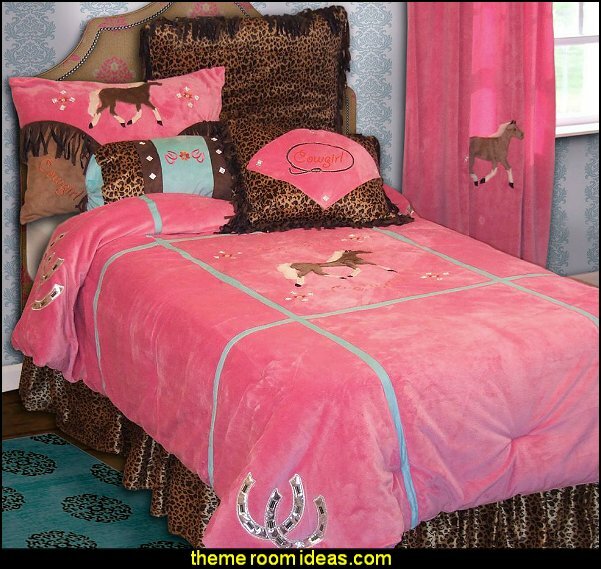 Reverses to white with blue paisley emblems. 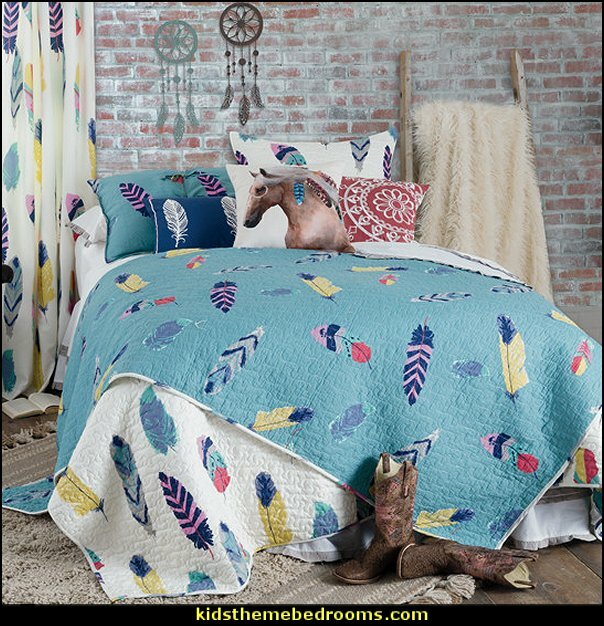 Brightly colored feathers in pink, citron, turquoise, terracotta, grey and indigo adorn this soft white bedding. 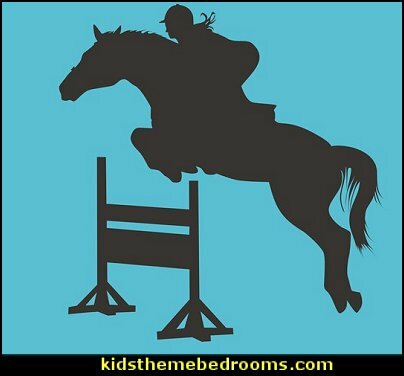 Flip it over to reveal the same bold feathers on a turquoise background. 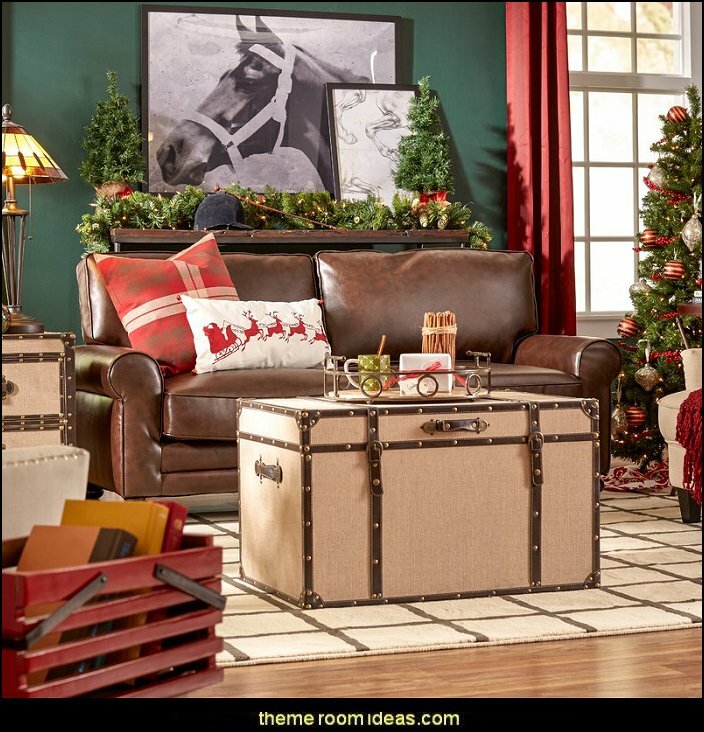 Inspired by vintage trunks, the abott storage trunk exudes old-world charm. 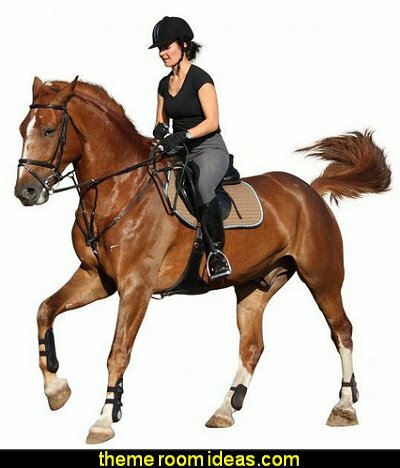 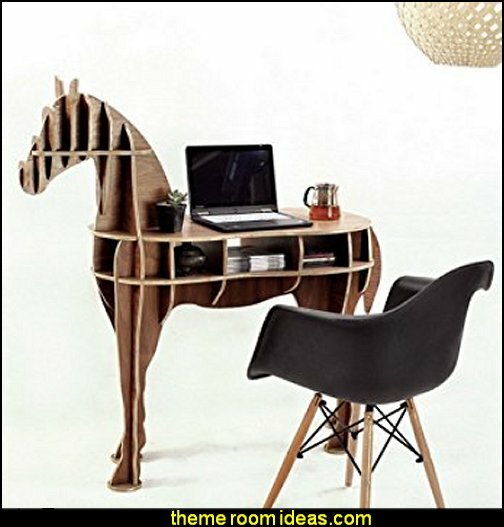 dark brown bonded leather edging and nail head trim add to the iconic style while complementing traditional or equestrian décor. 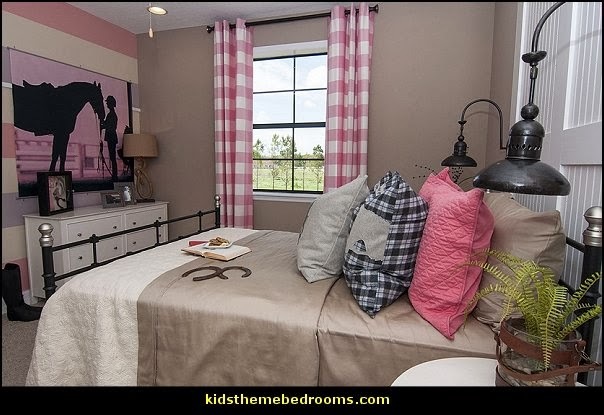 soft linen fabric brings an inviting element to your space while housing sweaters, blankets, and accessories. 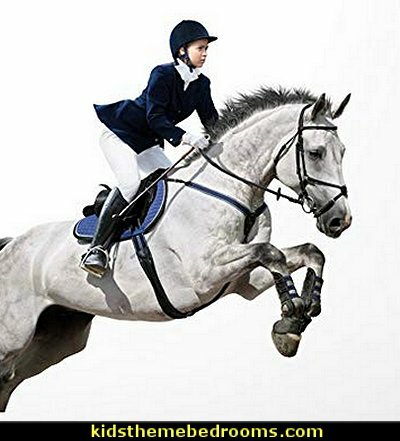 decorative side handles offer the authentic appeal of having embarked on a global adventure. 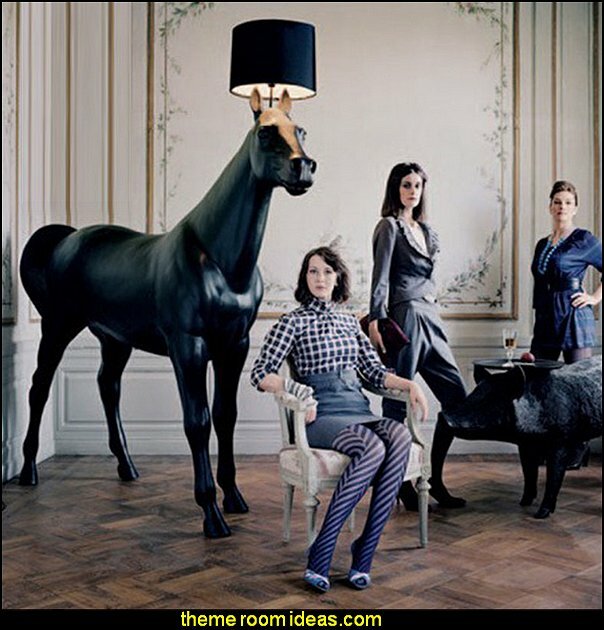 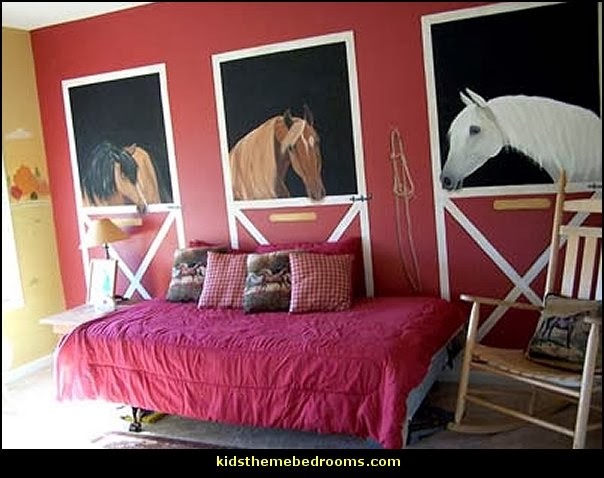 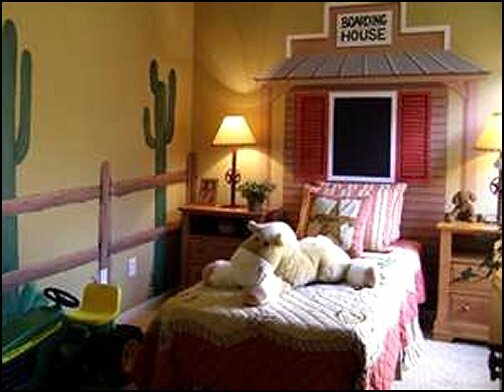 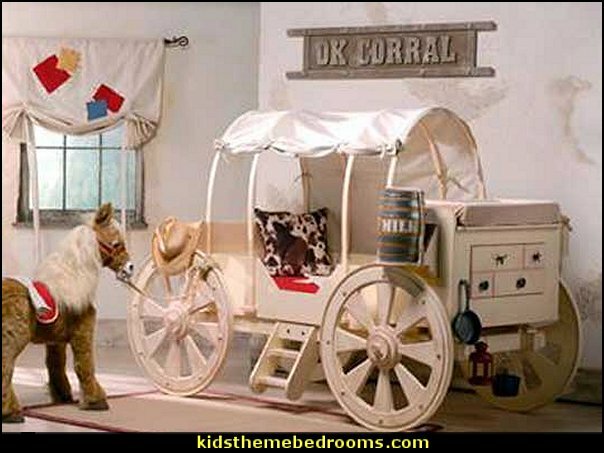 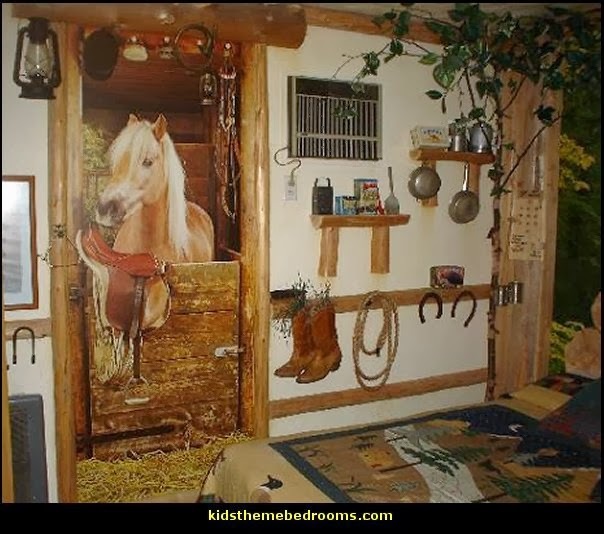 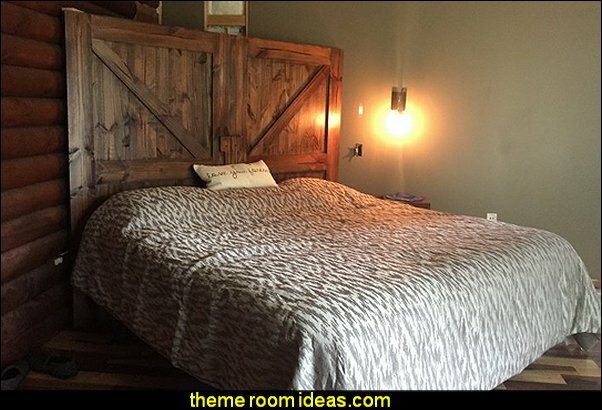 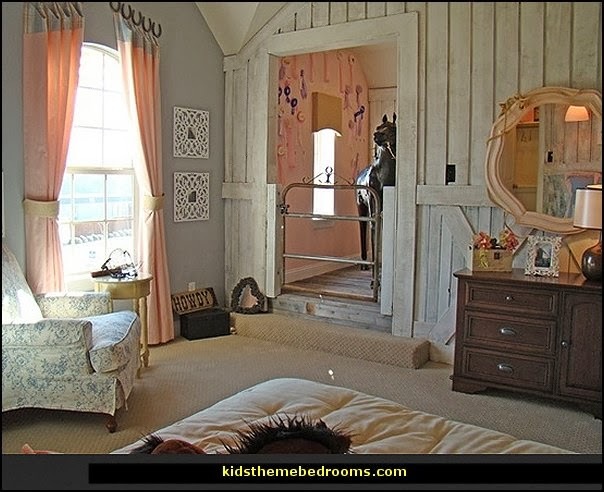 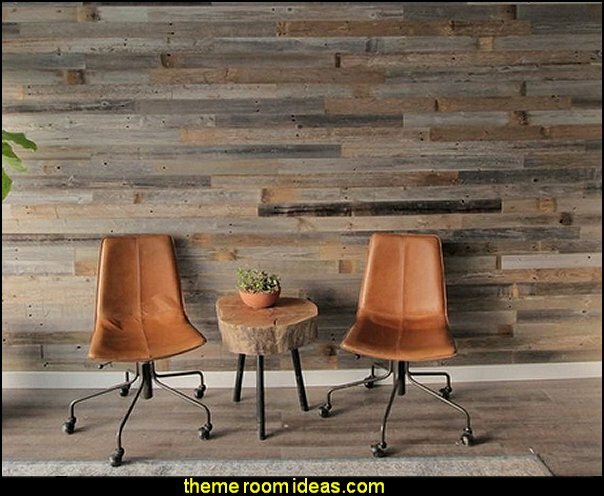 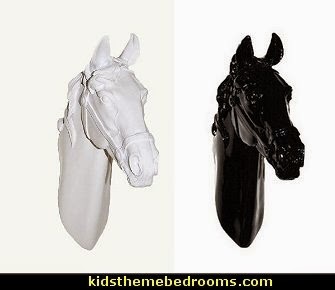 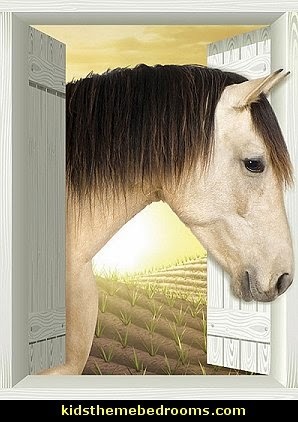 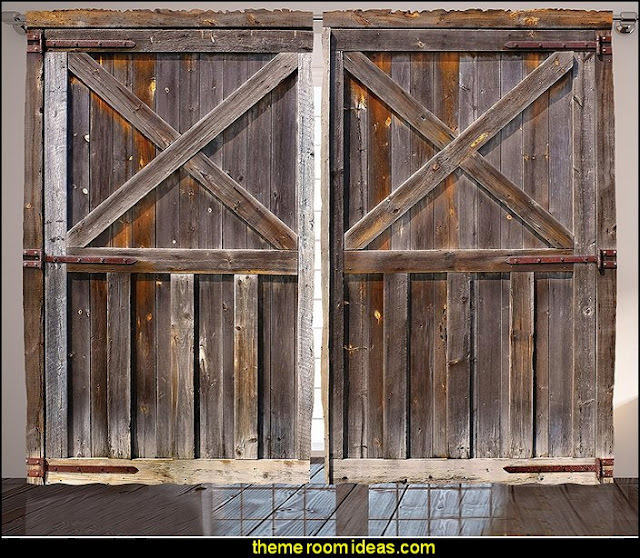 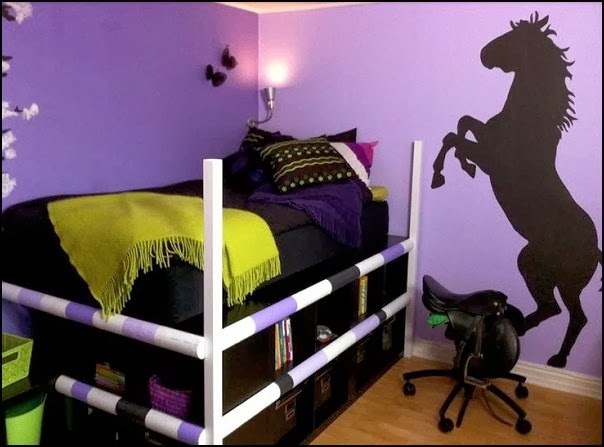 How to decorate a horse themed room?..... 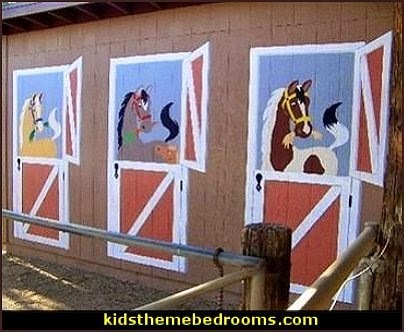 sooo many choices!